12″x12″ Oil on Canvas. 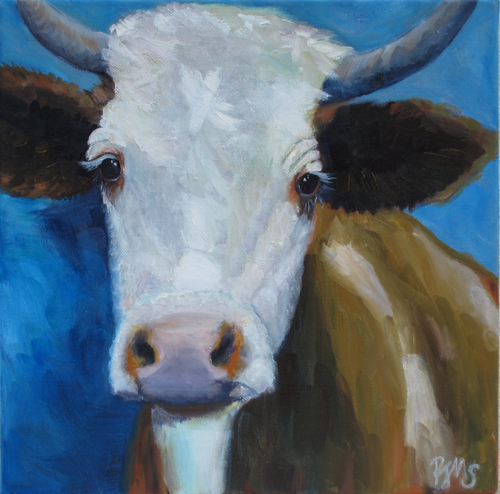 This cow just struck me and I had to paint it. I liked the eyes and the expression on this creature…wondering what it was really thinking about.